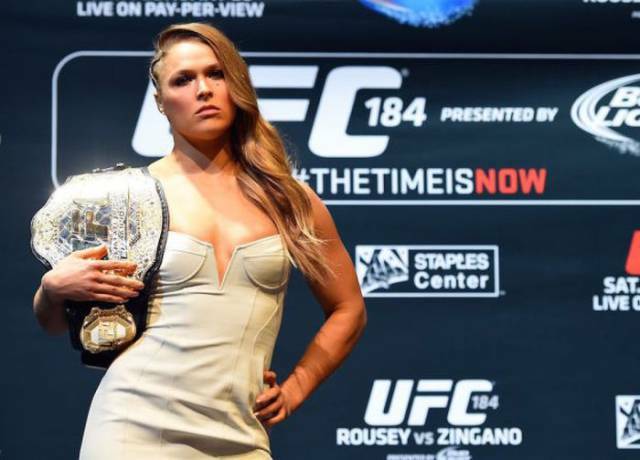 There's been a lot of rumors lately about one of the hottest female MMA fighters to appear in Sports Illustrated Swimsuit Issue 2016. The rumors were true, moreover, Ronda Rousey is wearing nothing but the body paint for the magazine's cover, which makes it even hotter. Isn't she the Kournikova of MMA fighting? I may be wrong. But I think she won every fight except the last one.